We stay in very comfortable and clean apartment! Nice location, just a 5 min with a car to Milos beach! The house is on the hill, so you have a great sea view! 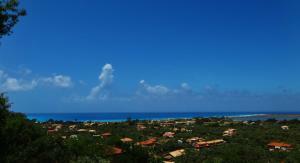 It's very cool for kitesurfers, because you could observe the situation on the spot from your balcony! :) The owners are very kind, hospitable and helpful! Even if not in the centre, the view from our balcony was amazing and very quiet at night. 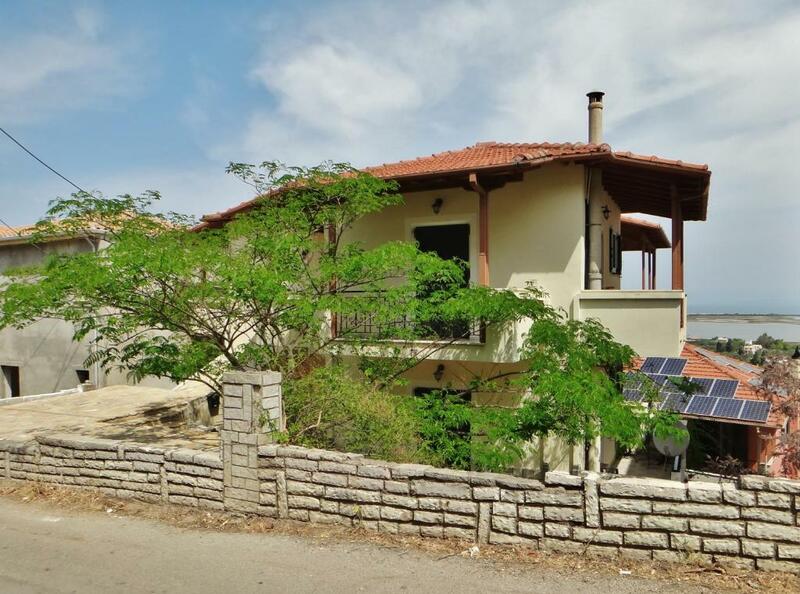 Lefkothea apartment is comfortable place, very clean and with all necessary equipment needed for pleasant stay. Hosts are very kind and they was at our disposal for any needs or requests. 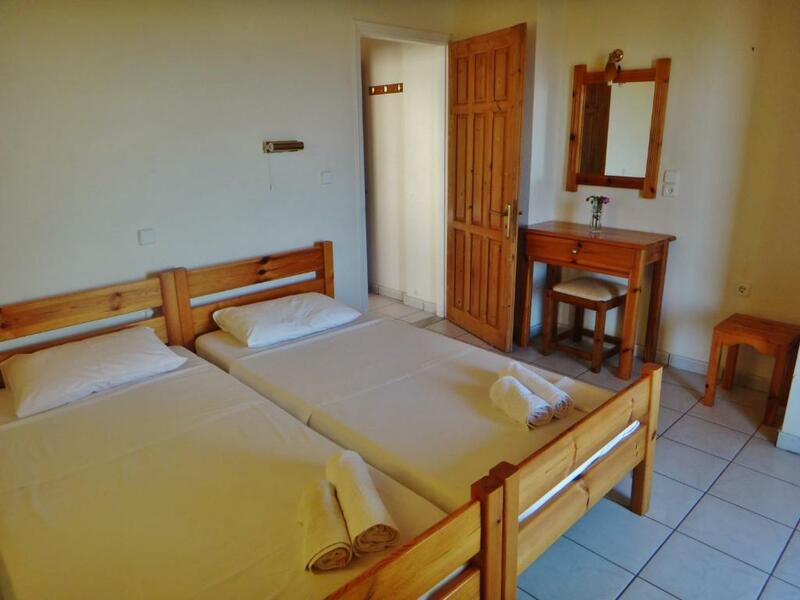 The beds are comfortable, the apartment is accessible and suitable for families and children. There is plenty of parking space near the facility. The rooms are cleaned and bed linen and towels are changed every three days. Wifi internet was available all the time in apartment. A terrace overlooking the sea is an ideal place to relax after a busy day. 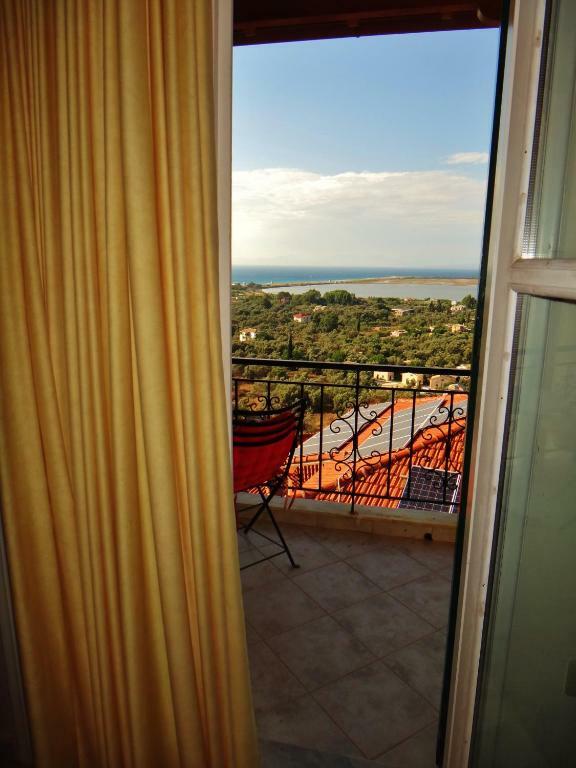 Apartment is about 2 km far away from Lefkada town and a nearest beach is about 1 km away. 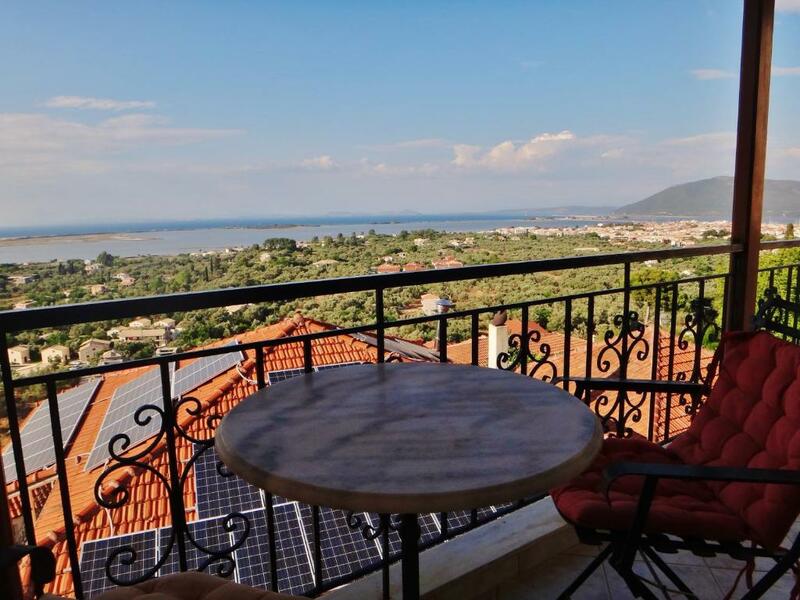 Apartment is situated in small and quiet Frini village and for full enjoyment of Lefkada island one should use a car or bike. Great accommodation! The house is up on the hill and every apartment has a balcony with sea view. On google maps it says it's 2.1 km away from agios ioannis beach. However, we never went there by foot since we rented a car and visited a different beach everyday. Mrs Amalia was a great host and even if she did not speak english she does seem to understand it and also seems to know german. The view is gorgeous!! The apartment is clean and very spacious. We will definitely come back when we have the chance! The view from the balcony was amazing and the room was very clean and spacious. The owner of the Apartment is very nice woman. Spectacular view from the balcony. Apartment was much bigger than we expected. There were new air conditioners in every room. The internet works very well. It is a perfect place for exploring Lefkada island. We had a very pleasant stay. The view was really nice, the room was quiet and the the aircon was really effective. Lock in a great price for Lefkothea Apartments – rated 8.7 by recent guests! One of our best sellers in Lefkada! 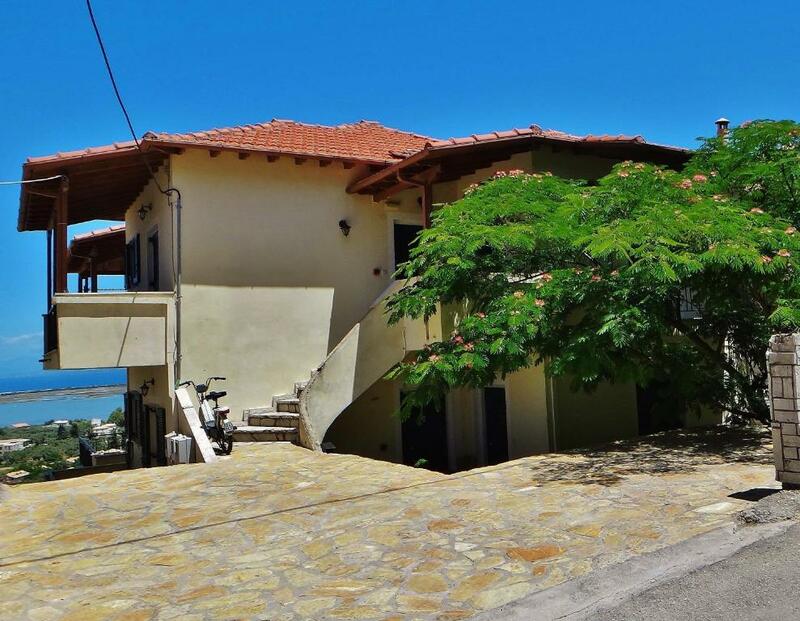 The family-run Lefkothea Apartments is located in Frini Village of Lefkada, within 0.9 mi from Agios Ioannis Beach. 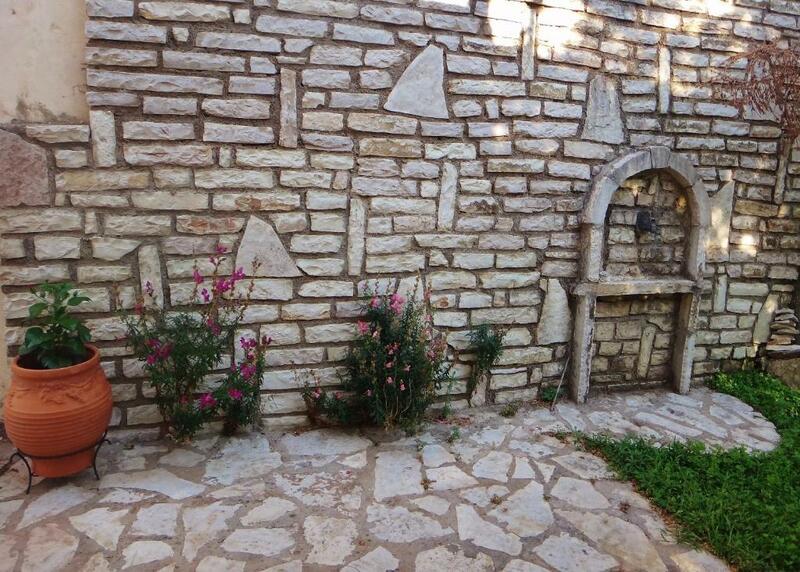 It offers free WiFi throughout and self-catering units with views over the Ionian Sea, the garden or the mountain. 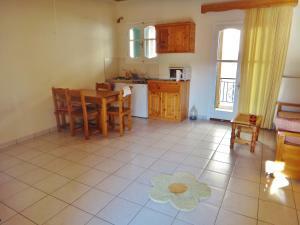 Opening to a balcony, the studios and apartments feature a well-equipped kitchenette with fridge and cooking hobs. Each unit features a TV, air conditioning and a private bathroom with shower. The scenic Lefkada Town lies within 1.2 mi from Lefkothea, while the lively village of Agios Nikitas is 5.6 mi away. The long, sandy beach of Kathisma is at a distance of 8.1 mi. Free public parking can be found on site. When would you like to stay at Lefkothea Apartments? 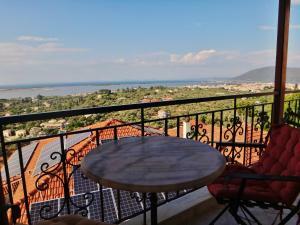 Featuring a private, external kitchenette, this studio opens to a balcony overlooking the Ionian Sea and the mountain. It features a TV, a fan and a private bathroom with shower. Free WiFi is available. Please note that this room type cannot accommodate an extra bed or a baby cot. Featuring an open-plan kitchenette with seating and dining area, this studio opens to a balcony overlooking the Ionian Sea and the mountain. It features a TV, air-conditioning and a private bathroom with shower. Free WiFi is available. Please note that the 5th guest can be accommodated in an extra bed. House Rules Lefkothea Apartments takes special requests – add in the next step! Lefkothea Apartments accepts these cards and reserves the right to temporarily hold an amount prior to arrival. Apartment in need of a good refurbishment (old electrics, with sockets that were out of order, semi-blocked and leaking tap in the bathroom, old kitchen items that you wouldn't feel like using, etc). Check out experience took forever..
Hard mattress. only to parking spaces available. You can park on the side of the street if you find a spot. Super nice host and the location perfect! No easy acces to Lefkada centre without a car. They didnt clean the room during our stay. Even they didnt collect the waste. Sofa beds in the living room were very uncomfotable. It was very hard to communicate with the lady but she tired her best. It was difficult to close the toilet door. Location is far from the city center but we knew that. View from the balcony, wifi worked well. Living on the Mountain in a Village. The view from the balcony. The höstens was very kind and serviceminded. location owner really kind and friendly.